Should You Use a Protective Filter? One of the first things you are told when getting into photography is to buy protective filters for your lenses. These would normally be an ultra violet filter but you may also have been suggested a skylight filter. The latter are no longer recommended for digital photographers as they can introduce a slight colour cast that effects the white balance. 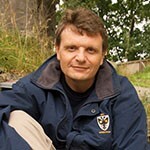 The former, UV filters can be bought pretty cheaply but like everything photographic, cheap is not always a good option. When you start to step up to better quality UV filters, the price increases dramatically. 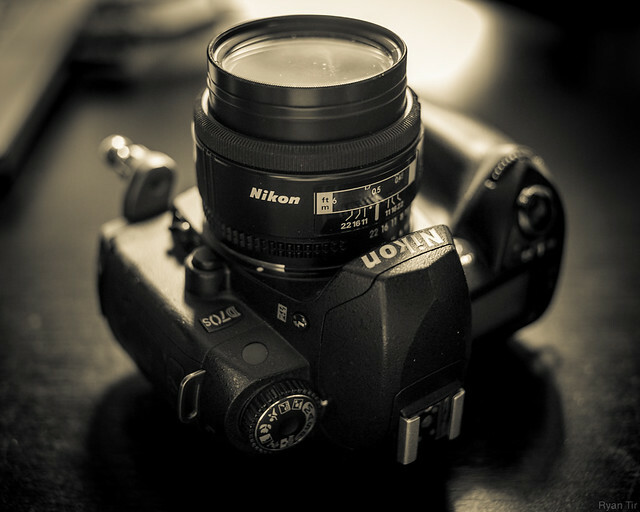 With this in mind, do UV filters actually provide protection to your lens or is it an urban myth? Why Would You Use a Filter? Conventional wisdom suggests that putting a UV filter on your lens gives it several levels of protection. The first is that it protects the lens from dust, sand and any other particles that might otherwise adhere itself to the front element of that lens. Secondly it protects against fingerprints and smears from the general day to day handling of the lens. Perhaps the most controversial suggestion is that a UV filter protects the front element from smashing in a fall to the ground or by bashing into something. Beyond the protection another often mooted reason to use a UV filter is to reduce to eliminate haze in the distance of landscapes. So these are the arguments for using a protective filter, lets have a closer look at each one to see if they really stand up. Yes a UV filter will undoubtably protect from particles that might adhere themselves or even scratch the front element of your lens. The question is how likely is this to happen? If you regularly shoot in hostile environments such as windswept beaches or the desert, a UV may very well stop that abrasive sand scratching your lens. However in many day to day cases there is unlikely to be an issue. 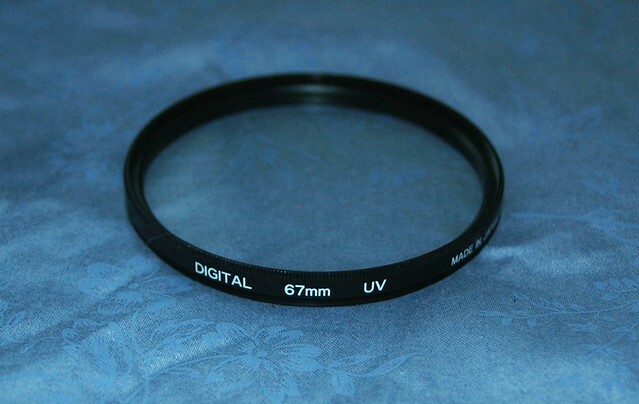 Again a UV filter will protect your front element from fingerprints and other smears. The acid in your fingerprint may overtime react with lens coatings and cause image degradation. Both fingerprints and smears can lower lens contrast. The issue is that as a large piece of flat glass, a UV filter is much more prone to getting fingerprints on it than the front element of a lens. This means you are much more likely to have to constantly clean the filter than your would do the lens. With a lens hood on, the front element is pretty well protected from day to day touch anyway. If you have a regular lens cleaning regime, its pretty unlikely that fingerprints will remain on your glass long enough to cause any damage. This one is perhaps the most often mooted reason to use a UV filter. But is it really going to protect a lens in a fall? I would suggest not. A wafer fine piece of glass on the front of your lens is going to be significantly weaker than the large relatively thick convex front element of that lens. In a fall, the front element will either break or not regardless of whether there is a filter on it. The filter will not add any other extra protection to the lens body either. Any shock that hits the filter will be transmitted through the lens doing as much damage as without the filter. A direct hit on the front of the lens although unlikely, will still not be protected by a UV filter. Again a decent lens hood here is more likely to protect the front element than a filter. Whilst this was very much a useful application for UV filters in the film era, it is no longer the case today. Digital sensors are very good at filtering out UV light to the point where a UV filter has no effect on distant image quality. Whilst you might not see any image degradation with a good quality UV filter, it can make the lens more prone to lens flare than shooting towards the sun. There are very few reasons why you shouldn’t use one. Potential for a slight image degradation and lens flare are two of them. The inconvenience of screwing on and off filters if you use other filters is another. However, to use a UV filter in the hope that it will protect your lens from a fall may well be folly. Yes in certain conditions it will protect the front element from abrasive particles, fingerprints or smears but as an insurance against a broken front element, its unlikely. Using UVs is a personal choice. Early in my career every one of my lenses had a UV filter. For the last 10 years none of them have. The only lens I have ever damaged would not have been saved by a UV filter. The cost a good quality 77mm UV filter would actually have been more that it cost me to get that lens repaired.